While the introduction of electronic components in critical embedded systems (aerospace, automotive ...) contributes to improve their performance, it also involves a set of strong constraints regarding the reliability of these components and their robustness to stresses from the environment (temperature, electromagnetic interference, electrostatic discharge (ESD), fast transients ...). Mastering these constraints, defined by industry standards and guidance, is an important economic issue for circuit designers of critical systems, because of the cost and time of compliance that results. It is based on modeling of failure modes and a fine prediction of risk at different levels of system design. Our team works on these topics, particularly in the area of land and air transport applications. Sonia Ben Dhia has been Distinguished Invited Speaker at IEEE Asia Pacific EMC Symposium in May 2018. Veljko Tomasevic has defended his Phd on Monday the 27th of Februrary 2017. His work is entitled « Étude des couplages substrats dans des circuits mixtes «Smart Power» pour applications automobiles ». This work was part of AUTOMICS european research project related to sustrate coupling within automotive power circuits. 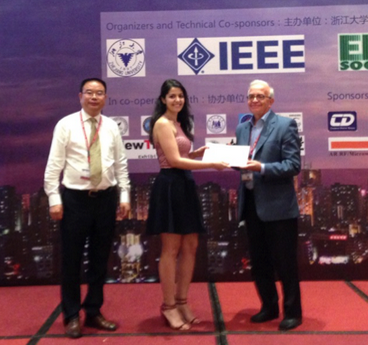 Chaimae Ghfiri, PhD student of ESE Team (advisors Sonia Ben Dhia and Alexandre Boyer) and IRT St Exupery, has been awarded the Best Paper Award (among 400 papers) after the Asia-Pacific International Symposium on Electromagnetic Compatibility 2016, in May 2016 in Shenzhen (China). The title of her contribution was "Construction of an Integrated Circuit Emission Model of a FPGA". 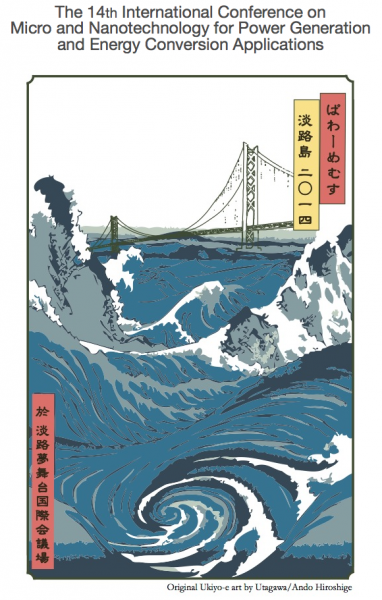 Full text is available here. Marise Bafleur is chairman of ESREF 2015 organized in Toulouse from the 5th to the 9th of October 2015. It is the "26th European Symposium on Reliability of Electron Devices, Failure Physics and Analysis". 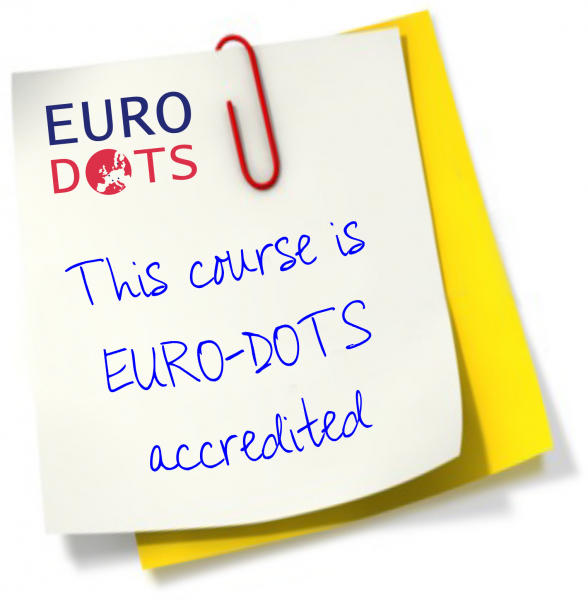 Alexandre Boyer has participated to the workshop in the field of electronic robustness, on the 15th of October 2014. His talk was entitled Modèles prédictifs pour assurer la compatibilité électromagnétique à long terme des systèmes électroniques embarqués. For wireless applications, the systems must be autonomous in energy. Moreover, electrochemical storage is often precluded due to environmental, economical or managment (battery replacement) constraints, not to mention safety issues. It is then necessary to rely upon environmental energy harvesting and storage. Our work is specifically oriented towards aeronautic applications. Marise Bafleur and Jean-Marie Dilhac have participated to PowerMEMS 2017 in Kanazawa (Japan) from the 13th to the 17th of November 2017. Marise Bafleur has given an oral talk while Jean-Marie Dilhac has delivered a tutorial within PowerMEMS School. The common topic has been the energy autonomy of embedded aeronautical systems and energy harvesting through thermo electrical generation. March 2017: Marise Bafleur, Vincent Boitier and Jean-Marie Dilhac have participated to the kick-off meeting of 2Id0, a new project funded by investissements d'avenir "grands défis du numérique". They will work on energy autonomy of connected objects (Internet of Things). Partners are Airbus Safran Launchers, Altran Connected Solutions, AREVA NC, Areva NP, Arkema, CEA List, Idosens, Internet of Trust, Prove and Run, Snecma et Total. 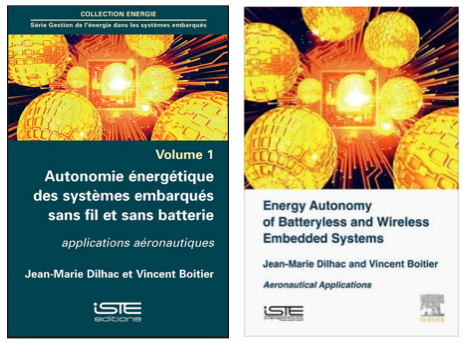 December 2016: Jean-Marie Dilhac and Vincent Boitier have authored a book "Energy Autonomy of Batteryless and Wireless Embedded Systems - Aeronautical Applications" edited by ISTE Press and Elsevier. In this book, after presenting the issues associated with wireless sensor networks, they detail the results obtained by ESE team within the CORALIE projets , together with those of flight tests with Airbus A321 mentioned below in this page. March 2017: the French version of the book is released. 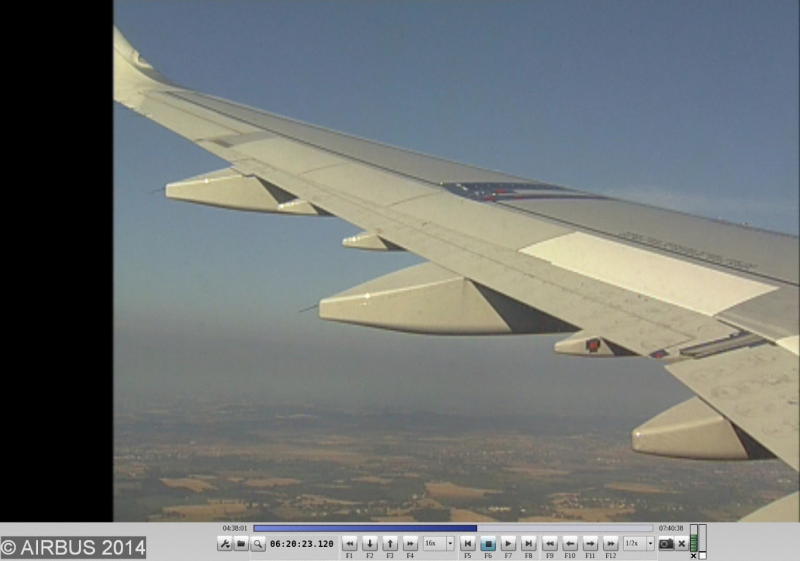 Within the frame of CORALIE project (Investissements d'Avenir), an energy harvesting system based on thermogeneration, for the powering of a sensor network, has been integrated into Airbus A380 MSN01 in May 2016. It will be fully tested during a flight test campaign next July. The above picture shows the thermogenerator and exchangers (LAAS), the energy management module (LAAS) and data logger (from Airbus Group Innovation and ASTUS) before integration. 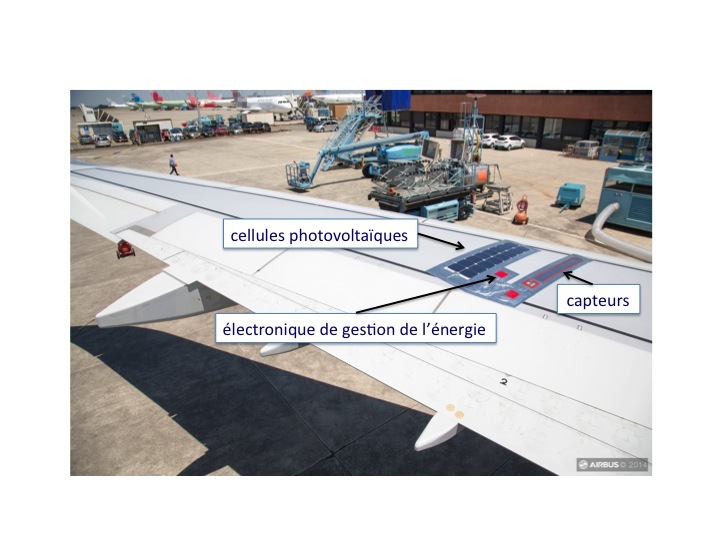 In July 2014, Airbus department for in-flight tests has deployed with success on an Airbus A321 a photovoltaic system designed at LAAS-CNRS, in order to power outside sensors. Below, a picture of the apparatus once bonded, while the A321 is on parking. Below, a view of the system while in flight.